Summer harvests. Yum! 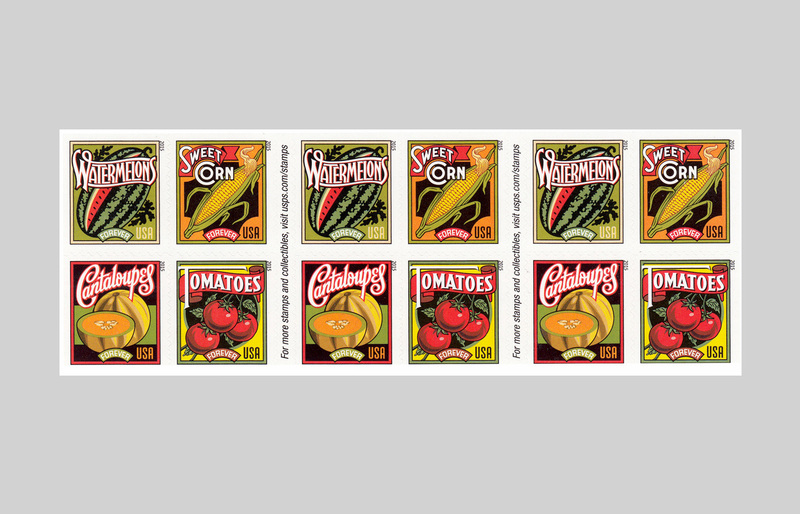 These stamps will have their First Day of Issue ceremony in Sacramento, CA this Saturday, July 11. The designs suggest old can or crate labels. The art is by Michael Doret with art direction by Antonio Alcalá.